There are few things we take for granted as much as our ability to turn on the tap and get water in a seemingly endless supply. Even during droughts, and despite warnings about shortages and conservation, most of us treat this precious resource as a given. The average American uses 80-100 gallons of water per day, and while less than half of that will be used for cooking or drinking, chances are that all of it is treated, potable water from the municipal provider. What many people don’t realize is that it’s fairly easy to implement systems for recycling and reusing water on your own property, thereby decreasing the demands on shared supplies, and reducing your water bills. Read on for details on the three LEED-Hcriteria for water efficiency at home, plus additional info on wastewater treatment and reuse. If you hate to miss out on a great bargain, look out the window next time it storms to see what you’re passing up—there’s no more cost-effective water source than rain. In fact, if a single thunderstorm drops 1 inch of rain on your yard, you have just watched the equivalent of over 250 bathtubs full of water trickle by! The first step for increasing water efficiency at home is to reduce the use of drinkable water for non-consumption purposes. There are two ways to do this: collect rainwater, and reuse indoor wash water. You can install cisterns above or below ground that will collect and store run-off from rooftops and other impervious surfaces, as well as water from laundry machines, dishwashers, bathtubs, and sinks. The latter is classified as greywater, meaning that it does not include human waste or sewage. How many times have you seen a sprinkler going full blast on someone’s lawn in the middle of a summer downpour? The irrigation of lawns and gardens consumes up to 50% of the potable water we bring onto our property, and much of that just ends up as runoff, rather than being absorbed by the plants being watered. This is situation in which technology can be hugely beneficial in conserving natural resources. You can install smart, programmable sprinkler systems and moisture sensors that allow you to measure the amount of water your yard needs at any given time, and control irrigation from a central shut-off valve. Combine this system with your rain and waste water collection and you’ve got your outdoor greenery dialed. As was pointed out the Green Building 101 installment on Sustainable Sites, it’s wise to choose landscaping elements that are appropriate to the climate and require minimal water. Because of their varying root systems, grass, trees, and flowers all have different water requirements, so when you design your garden, consider the layout of the irrigation system, and try to arrange plants according to the amount of water they need. 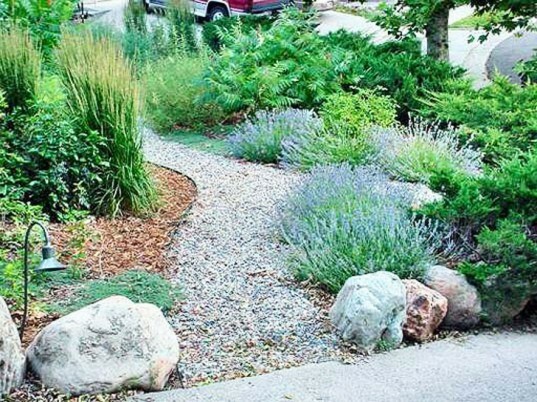 *Note: Remember that using water-wise plants for your particular region creates a lower-maintenance, lower-cost garden. The primary means of reducing indoor water use has to do with the fixtures you choose. 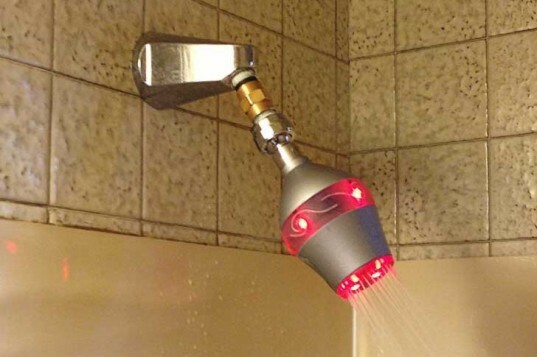 Selecting low-flow sink and bathtub faucets, showerheads and toilets can reduce indoor water use by 30-40%. Over the last few years, the quality of low-flow fixtures has increased. Whereas at first they gained a reputation for flushing inefficiently or delivering unsatisfactory water pressure, new products are surpassing the original designs. The other great way to ensure that you are getting maximum water efficiency indoors is to purchase Energy Star appliances, which guarantee a certain degree of water efficiency, and save energy to boot. Because water is so vital, and because the ability to clean and reuse it becomes increasingly important, it’s an area where we’ve seen significant evolution and real innovation over the years. Early building strategies recognized the value on a single slant roof, which allows runoff to be collected in one place. Likewise, gravity obviously supports water pressure, so the higher above ground a storage tank sits, the more efficiently the water will feed out. 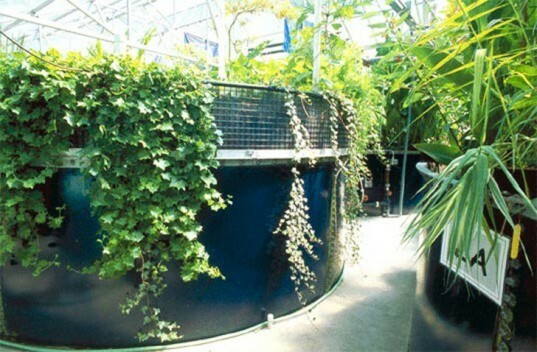 Then there is the natural water-filtering ability of plants—a form of bioremediation— which a number of ecologists, scientists and engineers have learned to harness for large scale filtration of contaminated water. Ecologist John Todd devised consolidated ecosystems which treat wastewater and sewage using aquatic plants, fungi, and other organisms. These have generally been used in commercial-scale operations, and not scaled down for residential purposes, or up for city-wide water treatment. But the concept reminds us that our own greenspace can be a filter for the water we waste, making reuse easier. If you’re a regular reader, you know we take every opportunity to promote green roofs, which are great for utilizing rainwater and diverting it from running offsite. Other rain catchment systems can be devised in the form of botanical facades, and modular permeable pavement. Whatever you can do to make use of rain and wastewater spares your city sewers from an overflow of contaminated water, and keeps your garden verdant and fertile. We’ll continue this series with materials and resources, so stay tuned! It should be mentioned that it is wise to check your municipalities before implementing a rain collection system. Quite frankly, the water rights laws are really screwed up in some places and collecting rain water in some places may result in huge fines or being sued by a large corporation. Sad but true. I\'m just saying check first on that one. Thank you for the report, very useful and just one query, how can water efficiency limit sustainability?? This is a good article and very inspiring! 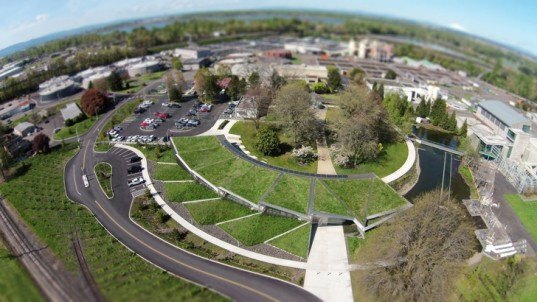 The idea about the Green Roof is helpful. Pat, I purchased a 55 gallon rain barrel at a local garden/feed store and rerouted one of my house's gutters to it. After a half hour / 1 inch of rain this afternoon, the rain barrel was full and overflowing!! If you can't find a rain barrel reseller locally, try contacting your local Pepsi/Coke distributor, winery, or brewery. Most have leftover storage barrels they'll sell you for cheap. You can easily modify them into rain barrels with a little effort. Hope this helps! Is there anyway to collect rain water or gray water in Colorado? Beautiful presentation of important information. One small thing Glen Murcutt is from New South Wales, not South Wales, different hemisphere. Thanks. Lets not forget the savings of the water utility. In canada toronto a bill of $70 for $13 worth of water for 3 months! You would think $13is nothing for 3months ... and it is nothing look at all the cost on charges for delivery use of whatever and so forth. These guidelines seem very skewed towards residents of the Midwest or Eastern US. Here in the Southwest, (specifically, Phoenix) I found that very few of the criteria apply to me. LEED-H is obviously not designed for homes in the Southwest. Just a note of caution that in a lot of places,especially in the West, you actually do not have the right to collect rain water or re-use any of your grey water. You essentailly have paid for the right to use it once and then it needs to be returned to the city where it is processed and returned to the river for the right of use of others downstream. The information here is great, but the images shared are inconsistent with the first principle in the series: Location and Linkages. You show us many pictures of "sustainable" homes in the midst of nature, but as you clearly pointed out two weeks ago, "as common sense tells most of us, avoid looking at developments that are a long way from the places you need to be. " Not only do urban locations save on transportation cost to the environment and households, those who live in urban environments tend to consume less, living in smaller homes and with less (often nicer!) stuff. Please give us more pictures of great urban sustainable design. Excellent post. 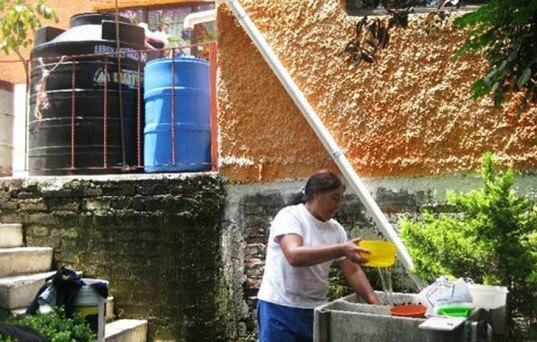 I live in Baja California, and it is hard not to notice the waste that well off home have through their large watered gardens, and cleaning staff that see need to hose down the drive way and sidewalks every day. Some other suggestions could be to have gardens that are representative of the natural environment. Trying to keep a semi-tropical garden (needs moist ground) in a Mediterranean area (i.e. very dry) is very water heavy. Tuscon was a great city for this. Beautiful desert gardens in front of many houses. In California people seem to want to live in the tropics, and even water plants on the side of the highways. I'm told that from sea the border between San Diego and Tijuana is visible since one side is green and the other is not (partially visible on google earth).. Quick tip... if you must water your lawn, do it at dusk or dawn. It is more water efficient as less is lost to evaporation, and it is better for the plant as water droplets act like small lenses focusing the sunlight, burning the plant. All very good info - however, while I have read the same quote of 100 gallons per person per day, if you look at actual studies on a city by city basis, average us is usally closer to 250 gallons per day. Despite a reputation of everyone having hot tubs and pools in their backyards, Californians tend to use far less, with east coast residents using far more. All the more reason to be looking to reduce our usage. This is less of a comment and more of a question. I've become very interested in the idea of green roofs, and was wondering how effective a green roof would be if it were coupled with a rain collection system. I would like to think it would work, but fill up slower. I'd also like to think that the rainwater collected would be cleaner having passed through a natural filtration system. Are there any examples of this, or at least an educated (moreso than me) guess/answer? Thanks. There are few things we take for granted as much as our ability to turn on the tap and get water in a seemingly endless supply. Even during droughts, and despite warnings about shortages and conservation, most of us treat this precious resource as a given. The average American uses 80-100 gallons of water per day, and while less than half of that will be used for cooking or drinking, chances are that all of it is treated, potable water from the municipal provider. What many people don't realize is that it's fairly easy to implement systems for recycling and reusing water on your own property, thereby decreasing the demands on shared supplies, and reducing your water bills. 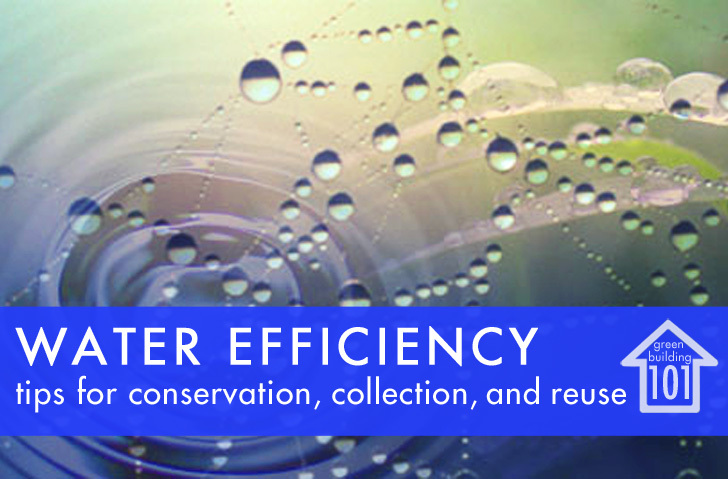 Read on for details on the three LEED-Hcriteria for water efficiency at home, plus additional info on wastewater treatment and reuse.